In Hollywood, there are some stories that resonate so much that they are re-made again and again and again. We have seen such a reincarnation take place this year with Bradley Cooper’s directorial debut A Star Is Born (2018). Being the fourth remake of a film that was first released in 1937, it can be assured that this is a story that still resonates with audiences to this day. Since its initial release, the film has been reimagined as a Judy Garland musical, a Rock Opera and even a Bollywood production. But in this new iteration, Cooper takes the familiar narrative and blends it into the world of country music, while still staying true to the original story. Or at least the story as it was told by Frank Pierson in his 1976 remake, starring Barbara Streisand and Kris Kristofferson. As Cooper’s film arguably draws more from that iteration that any other preceding version. The film follows Jackson Maine (played by Cooper), a famous country singer who can often be found drowning his sorrows in either alcohol or narcotics. One night, after a successful gig, Jackson happens upon a local gay bar where he meets Ally (played by Lady Gaga). Soon he deduces that Ally is both a talented singer and song-writer. Eventually Jackson decides to take Ally with him on tour, allowing her to share her music with the world. What ensues is a turbulent romance, a break-out career and hell of a lot of tragedy. All of which is squeezed into the film’s long running time of 135 minutes. But the film is competent in its creation, even if the subject matter sometimes leaves the audience staring off in both shock and embarrassment. Cooper gives another powerhouse performance as Jackson, sometimes switching from musical genius to drunken animal at the drop of a hat. Although the film doesn’t glamorise addiction, it does arguably present a very Hollywood version of it, but still Cooper manages to give his performance a lot of emotional depth and complexity. Sadly the character of Jackson does suffer from some loose plot threads, which unfortunately do sprinkle themselves throughout the film. Such as his unhinged relationship with his brother Bobby (played by Sam Elliott), which is kind of dumped on the audience during a single argument between the two characters. His relationship with his father is also briefly touched upon, apparently supplying a motive for Jackson’s drinking, but again its presented in brief exposition and is not given the treatment it needs in the narrative. And speaking of Cooper, being both the film’s main star and director, as well as one of the co-writers, you can definitely see his fingerprints all over the finished project. Although I have no information of Cooper’s directorial inspirations, some elements of the overall film did remind me greatly of a David O. Russell production (a director which Cooper has collaborated with on several occasions). In fact, Ally’s family of middle-aged drivers calls to mind some of the funnier domestic comedy portrayed in Russell’s film Silver Linings Playbook (2012), showing that Cooper does admire Russell’s unique tone and visuals. On the other end of the leading spectrum, we have Lady Gaga giving life to the character of Ally, a talented young woman who’s self-deprecation had almost cost her, her musical career. 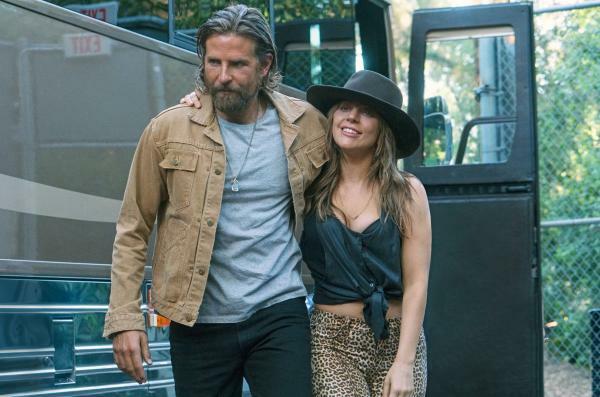 Gaga shines in the role, giving the character some deep insecurities while also giving her some raw strength – a bit of an oxymoron, but Gaga portrays it beautifully. Sadly again the character is somewhat underdeveloped. At one point it is implied that her aversion to Jackson stems from his alcoholism, which in turn seems to trace back to Ally’s father. However during the film Ally’s father is nothing but a loving and supportive figure, perhaps too supportive, even allowing his daughter to quit her job and chase after fame. The character also does not endure the same growth as her cinematic predecessors, as fame and fortune come to her very easily once she has begun. In fact it is her relationship with Jackson that becomes her main point of embarrassment and shame, something which eventually leads to the tragedy of the final act. Much like Cooper, Gaga’s influence can also be seen throughout the film, from the amazing music to the brief appearances of drag performers such as Shangela Laquifa Wadley and Willam Beli. Yes RuPaul’s Drag Race fans, both queens appear briefly in this movie, and honestly for a few brief moments they arguably steal the show, managing to obtain some of the louder laughs from the audience – especially Willam who walks around dressed as Dolly Parton. And on a side note, as a fan of both performers, it was a real treat to see them land roles in such a high profile movie, well done girls! Gaga’s score also excels, with the arguably anthem of the film ‘Shallow’ remaining to be the strongest of the melodies performed. 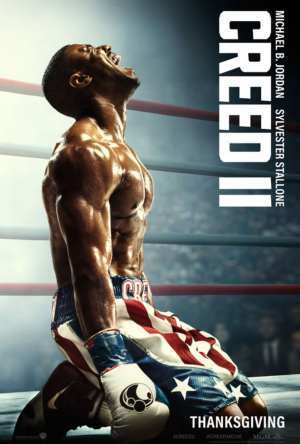 I would not be surprised to see the number eventually go on to earn an Oscar nomination, particularly with the buzz that is surrounding this film. But still the film delivers a melodramatic tragedy that ticks all the boxes for an awards contender. Now I guess we have to sit back and see if all of Cooper’s hard work has finally paid off.